Are you an engineering student eager to take part in a global challenge? 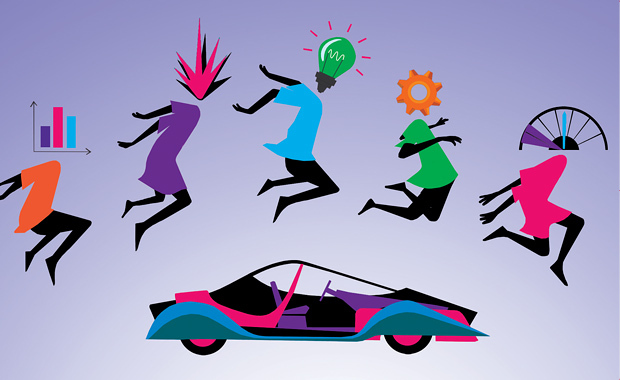 The Valeo Innovation Challenge is an amazing opportunity for you to imagine and conceive the car of the future. The purpose of the Valeo Innovation Challenge 2015 is to recognize an innovative automotive equipment project chosen from submissions by students from around the world. The winners of the competition will be competing for a fantastic prize fund of more than 120,000 Euro, of which 100,000 Euro are reserved for the winning team! This is your chance to play an active role in automative innovation: design the product or system that will create smarter and more intuitive cars by 2030 and develop daring solutions that will revolutionise the future! Twenty (20) projects will be shortlisted for the prototyping phase of the competition and awarded 5,000 Euro each for the building of a prototype. The Valeo Innovation Challenge is part of Valeo’s innovation strategy, supported by the company’s annual Research and Development budget of over 1 billion Euro. The awards ceremony will take place in September 2015 at the Frankfurt Motor Show (IAA) in Germany.